﻿ Best Price on Holiday Inn Resort Montego Bay All Inclusive in Montego Bay + Reviews! The all-inclusive Holiday Inn Resort Montego Bay All Inclusive offers a private beach, 2 outdoor pools, a spa and casino. 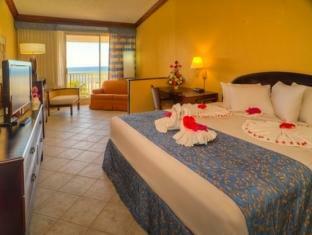 Each air-conditioned room has a balcony with views of the sea or tropical gardens. 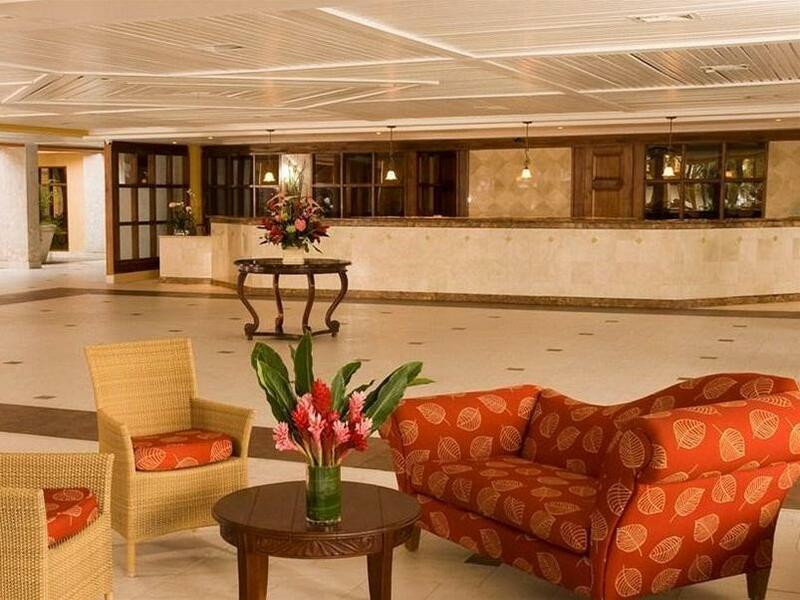 Rooms at the Holiday Inn Resort Montego Bay All Inclusive have tropical décor and include a coffee maker and a seating area. The private bathrooms include toiletries and a hairdryer. Free Wi-Fi is available throughout. You can enjoy free meals and drinks in the resort’s 4 bars and 4 restaurants and grills. A wide variety of Caribbean and international cuisine is available. At an extra cost, you can also enjoy Japanese teppanyaki cuisine in the stylish Kenko restaurant. The resort offers on-site facilities for tennis, mini-golf and snorkelling. Staff can also help arrange activities, excursions and island tours. The centre of Montego Bay is 10 km from the resort, while Sangster International Airport is just 8 km away. I went with 10 members of my extended family, and we all had a great time. The staff was really pleasant and helpful. Food was plentiful and variety was great, lots of fresh fruits and vegetables. Activities were available, but not too many. The best part I think was the excellent value for what you got. 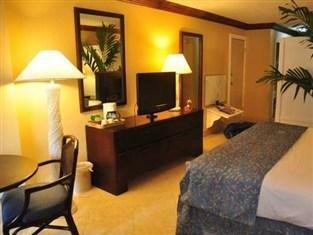 I stayed at another much more expensive hotel a week later, and did not feel I needed to gave paid as much more as we did for the minimal increase in activities at the Hokiday Inn. I would certainly return. We stay (me and my dad) for 8 days in Jamaica at the resort, it was a very good trip and pretty nice hotel for the price. The food is good and there is various menus during the week wich is a good thing. The drinks at the bar are good and the staff is ok.
the atmosphere and activities in the hotel is great. i especially like the all-inclusive idea because you dont need to worry about the price and just eat and drink. we just went to Seabreeze restaurant (needs reservation at guest service desk), the oxtail and Festival of Bread (they called it dumplings) are awesome. the food in the lunch and dinner buffet is so-so, my favourite was the braised mutton. the everyday must-eat snack/meal mouth watering food is JERK CHICKEN!!!! delicious especially with the hot sauce.